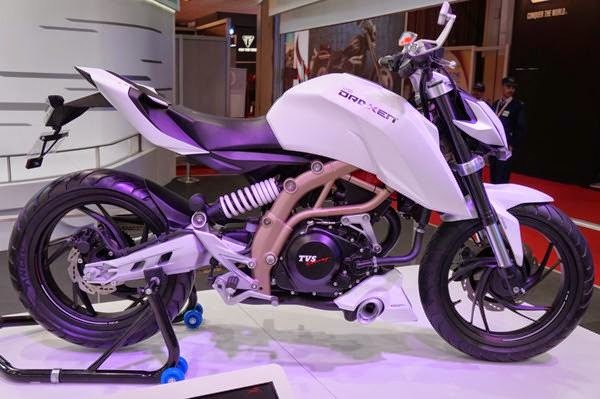 TVS Motors India showcased a 250cc street fighter concept at the 2014 Auto Expo. 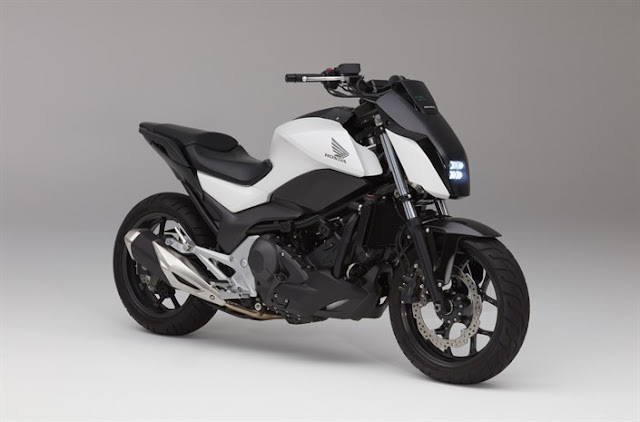 Also known as X-21 the bike is still in concept phase and one must say its one heck of a looker. 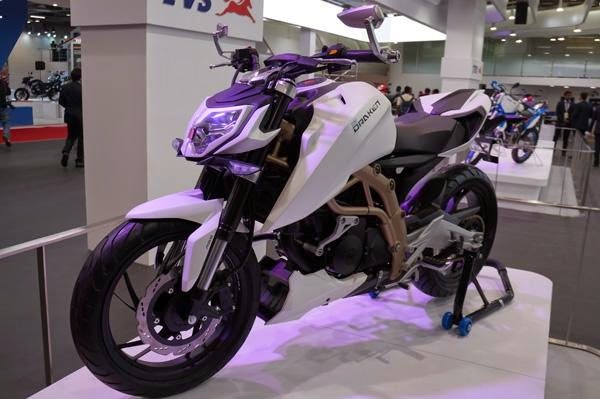 Ever since TVS launched the Apache RTR 180, bike enthusiasts were in high hopes of Apache’s more powerful versions including 200cc and 250cc to drop into the market sooner. Sadly, though, it never happened. 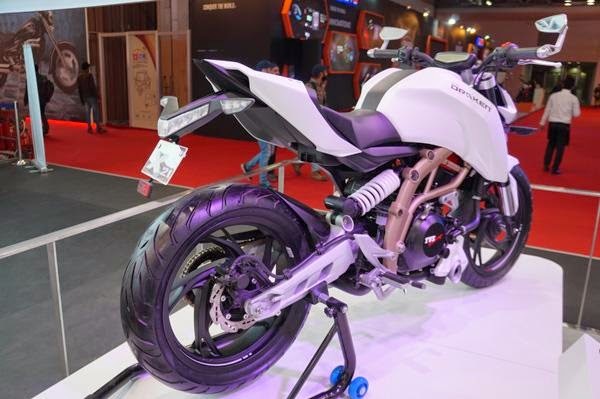 But this scenario changed at the 2014 Indian Auto Expo; TVS shocked everyone, with the unveiling of the Draken X21 concept. Draken’s design has been inspired by the naked street bikes from Europe and sports sharpness from every angle. The aluminium trellis frame, with a dull gold finishing, adds to the bike’s appeal. Draken has got a 249.2cc, 4-stroke, liquid-cooled, single-cylinder, 4-valves DOHC based engine with a maximum power of 38.5bhp at 12,000rpm and a maximum torque of 23Nm at 9,500rpm and is mated with a six speed gearbox transmission with a company claimed mileage of 33.3kmpl. An all-digital active matrix LCD display instrument console with a digital fuel gauge, speedometer and tachometer, two digital trip meters, a pass light, a stand alarm and the low fuel, oil and battery indicators ensures that all the techno-gizmo is covered. One of the design highlights of the bike is its exhaust pipe. 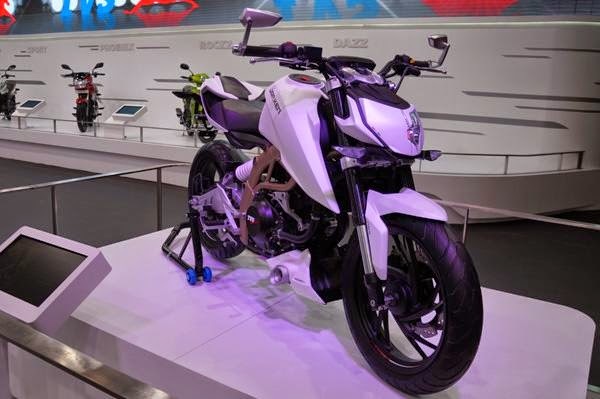 The concept bike sports a protruding exhaust, underpinning below the engine, which according to TVS is a reverse flow exhaust system. The manufacturer claims that it hikes the power output without compromising on fuel efficiency. Draken has been loaded with features such as a full LED headlamp with daytime-running lamps, digital console and neatly sculpted bar-end mirrors. The Draken's lines were penned by TVS designers in India. With price estimated at ₹ 1,60,000 , the Draken is yet to make an appearance in market. The bike churns out 20 Kmpl mileage in city and around 25 Kmpl in highways. If we do little maths here, with a tank of 10 litre and say average of 22 Kmpl the total range we get is 220 Kilometres which isn’t as economical and could be the biggest failure factor for the bike. superb bike. when will it launch in India'??? TVS officially haven't given out any dates yet but many have spied it's testing on Indian roads, so you expect it soon in market.